The Argus writes a story on the claim with Post's residency as well as other matters. It seems to spend more time on that then the residency. Post said he's registered to vote in Hamburg Township and claims his state homestead property-tax exemption at the Hamburg residence, which makes that his primary residence. "You can see it's a pretty attractive place to wake up to each day," Post said, looking out onto Ore Lake from his patio. State law requires candidates to be registered voters in the district in which they are running; have their primary residence in that district; and be at least 21 when assuming office. 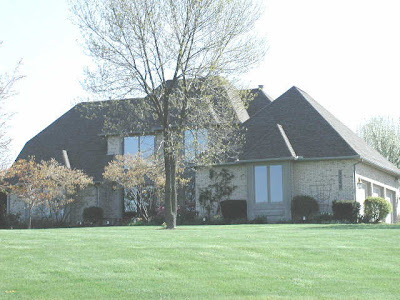 Post's Hamburg home was his family's cottage while he was growing up in Ann Arbor. He said his parents later sold it to him, and that he sold it to a neighbor in 1988 before moving to North Carolina. When Post returned from North Carolina in 2005, he purchased the cottage back from the neighbor to whom he had sold it. 1. Post and Hill's trust are the owners of a $500K+ home in Scio Township. 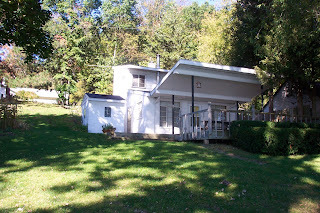 The house is claimed as a homestead by Hill. It was bought in 2006 by Post and Hill. 2. Post and Hill own a 540 sq foot cottage in Hamburg Township. It is also claimed as a homestead, this time by Post (which is why he's registered to vote). Both Post and Hill are co-owners of both properties. That's expected. They both have different homesteads, probably to save tax money. That is what placed Post in Livingston County and Hill in Washtenaw County. They both used to two addresses at different times, shown in the campaign finance reports. That's not an issue in 06 and 08 (Campaign finance reports), as Post wasn't running for office then. As I said in the last post, Garry Post has been throwing a lot of dirt at Cindy in the campaign. Why would he be concerned about Livingston County? He's got a half million dollar property in Scio Township he can move back to when the election's over. It's a non-issue. Why they give a crackpot like you the time of day says a lot about the slide of the paper.